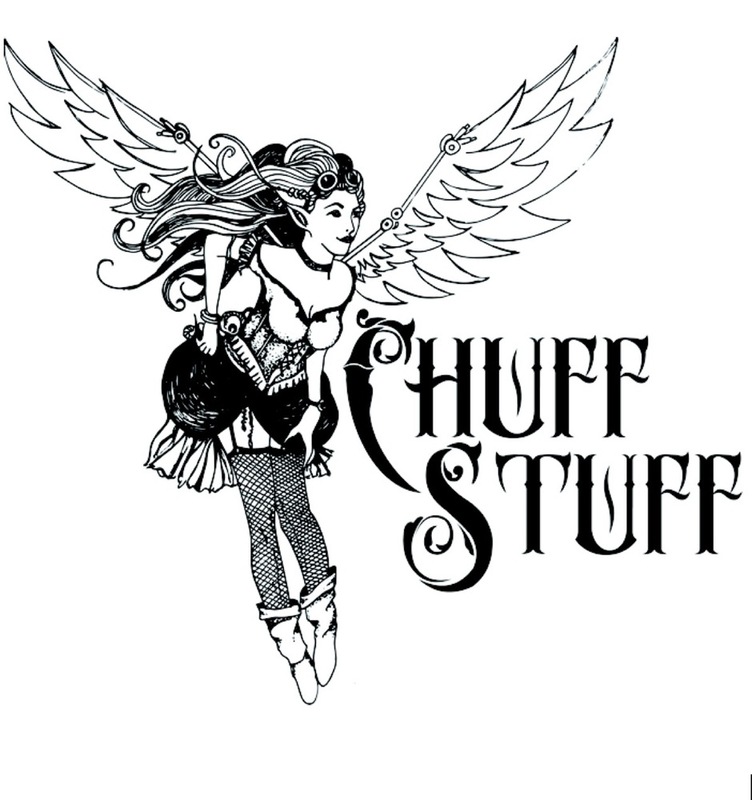 Today I am reviewing eight new e-liquids, sent to me free for review from Sharon and Flemming from LTecigs Shipley UK. I will be using my Koopor 200w with my turbo v2 rda reading 0.5ohm with the advanced vaper in mind , and my nature vape tank with nature vape coil reading 1.4ohm on my istick for the newer vapers who have just started vaping for a healthier way of life, or for those who would like to make the transition from smoking to ecigs. Remember e-liquid flavours vary depending on the power, resistance and airflow of your chosen devices. 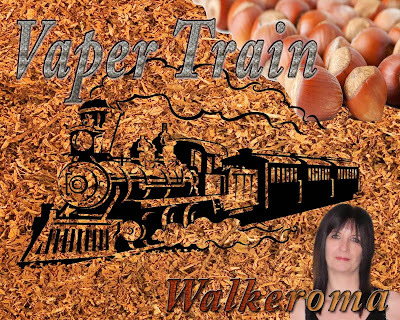 My opinion of the e-liquids I am reviewing today are my own, and will be my true and honest opinion as always. If I don't like an e-liquid I will say so. Taste is very subjective and what I dislike you might enjoy, and vice versa. Different setups give you different flavours at lower and higher temperatures, so please keep that in mind. On opening the bottle, the aroma was very subtle and delicate. It was more of a candied fruit scent rather than a fresh fruit. It was a welcoming scent that I really liked. The aroma reminded me of juicy fruit chewing gum. On the Inhale, there were slight undertones of banana with a strawberry/raspberry edge. The flavours flowed gently over my palate in a mouthwateringly manner. Smooth, refreshing and very delicate, but at the same time, packing a flavour punch to your tastebuds. It didn't taste the same as it's aroma, but juices rarely do. Totally the opposite, but still a very pleasing vape. On the exhale, the flavour suddenly changed and I tasted hints of fresh pineapple on my palate. Smooth, clean and fresh with bags of flavour. On passing my lips I tasted slight hints of banana and strawberry. This juice would be more suited to a bright summers day. A glass of wine in one hand and bug juice in the other. Summary:- There was no flavour description for this e-liquid except that it's a complex fruit mix. 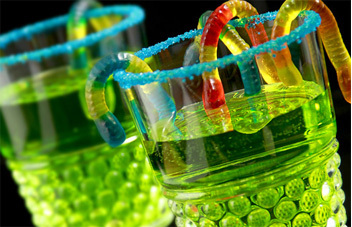 Bug Juice is a kid's soft drink. It is sold in several flavours. For example, there is Berry Raspberry, Leap'N Lem'N Ade, Straw' Nana, Outrageous Orange and Fruity Punch. This 'Bug Juice' tastes very fruity and I would say it's leaning towards the 'Straw' Nana. 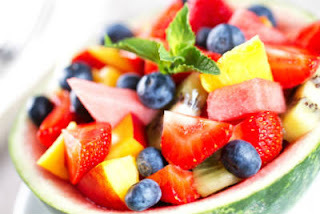 There are an array of different fruits in the inhale and it changes flavour again on the exhale. There were hints of strawberry, maybe some pineapple and banana. It was very difficult to tell if there had been other fruits added to the juice. It has a pleasant taste, and is very palatable. It's sweet but not overly sweet and very refreshing on the palate. Throat hit - Good, what you would expect from a 6mg juice. ADV - Yes, I would say it is an all day vape. Final Thoughts - A very nice flavour. Refreshingly fruity. The flavours last for a moment after the exhale. If you like fruity based e-liquids I'm sure you will enjoy this one. My rda brought out the flavours well. A tad muted in my nature vape tank, but only to be expected, but still very enjoyable to vape. I found that vaping it at lower temperatures was best suited to this juice. Fruity vapes are better vaped cooler than at higher temperatures. On opening the bottle, an earthy aroma arose from the bottle. Having tried Desert Ship tobacco in the past and it smelling almost pungent and sickly, this on the other hand was a pleasant surprise. It was one of the nicer smelling Camel tobaccos. There were slight hints of hazelnut coming through and chocolatey notes not experienced in others I had tried in the past. On the Inhale, a rich nutty taste glided over my palate with a subtle quality. Velvety Smooth, rich, earthy and dulcet in a gentle manner . I could taste the mellow sweetness the juice provided, not unlike fresh figs or dates. 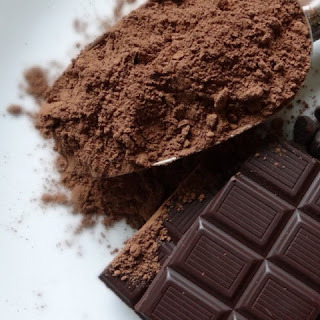 On the exhale, subtle creamy cocoa nuances of a delicate dark chocolate excited my tastebuds. Again, very smooth and subtle. An earthiness was in the background of the exhale which brought all those wonderful flavours together. The fruitiness of the figs and dates were at the forefront of the vape. They blended perfectly with one another, letting me hold the nuttiness on my palate for seconds after the exhale. Summary:- An amazing tobacco vape. Rich and packed full of flavour. It has a clean taste with no ashiness. It has a natural sweetness but isn't overly sweet. There isn't any bitterness or acidic aftertaste. The sweetness rounds off the flavour perfectly. Desert Ship tobacco is a favourite amongst many vapers. 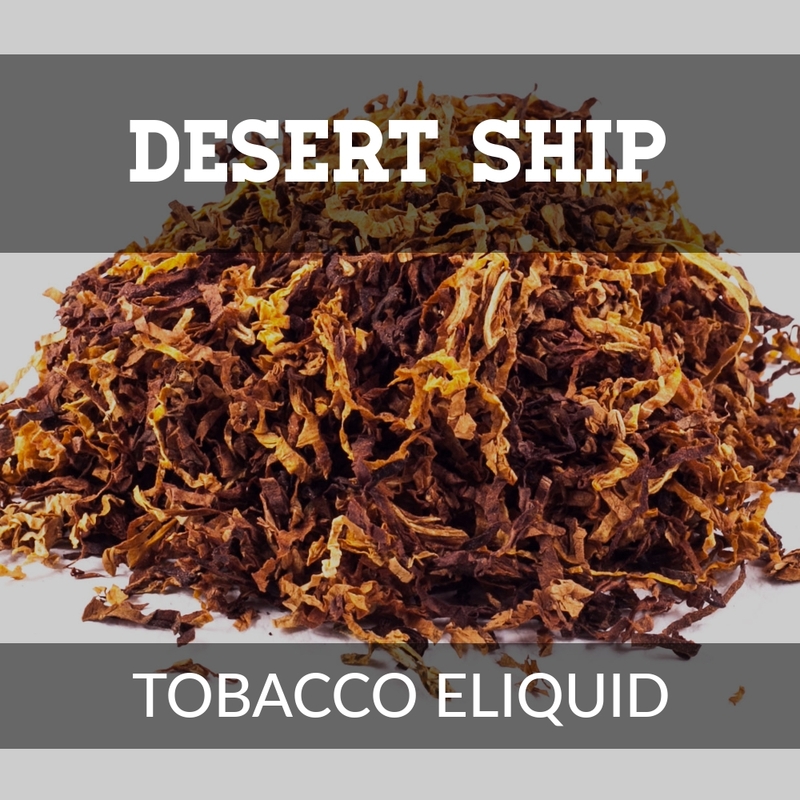 If you enjoy your Desert Ship e-liquid you will definitely enjoy this blend. Throat hit - Good and as you would expect from a 6mg juice. Final Thoughts - A truly wonderful eastern delight. Tobacco e-liquids don't taste of the ashy taste we all remember from smoking cigarettes, but some do resemble them very well. This one is smooth, naturally sweet, without being cloying, earthy, nutty, and fruity. The aroma reminds me more of a good pipe tobacco scent my grandfather smoked. It spells out 'Luxury' and is an extremely smooth delectable vape. On opening the bottle, the aroma was very light and hardly anything to talk about. 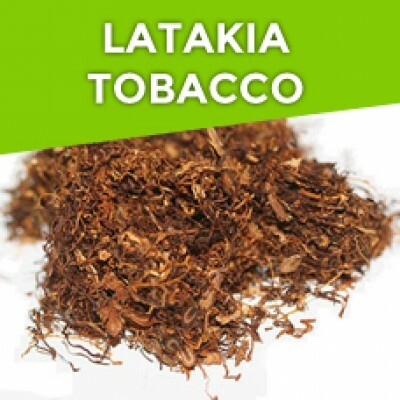 I have never tried Latakia tobacco before, but what I understood Latakia to be was a very strong powerful tobacco which is normally reserved to blend with other tobacco flavours. I'm a lover of my tobacco vapes, which might I add, I buy from LTecigs. In the 4 years of vaping I've tried tobacco juices from around the world, which have been disappointing. Some good and some not so good. LTecigs on the other hand is where I buy all of my tobaccos because they are by far the best I have tried. I've tried most well known tobacco houses and always gone back to LTecigs. I didn't know what to expect with Latakia as it was somewhat lacking in aroma, to the point there wasn't one. I would say it was odourless. For those of you who are Latakia tobacco fans, bear in mind that I’ve never smoked the tobacco before, so I can’t really compare it to the real tobacco. I will however try my best to describe the e-liquid to you, and you can make your own decision whether you try it or not. On the Inhale, it's very mild and certainly not what I knew Latakia to be like. It has a crisp but dry taste, a light woodiness, and it is surprisingly very good. I'm not sure what flavours I can taste, if any, but they are in no way potently strong or powerful. Instead I can taste a slight sweetness with very minimal flavour, maybe a very light virginia, but I could be wrong. This is a difficult one to try and describe. It is very smooth and refreshing with a character of it's own. It's in no way complex, just difficult to name the flavours. On the exhale, again it is a very mild flavour, and I am really enjoying this one. It's grown on me tremendously since I started vaping it. Your taste buds are left with a mellow spiciness and the slightest hint of sweetness. A spirited flavour that can only be discerned by those who try it. Summary:- An unusual but very satisfying vape. One I have grown to enjoy. I will definitely be buying more. Final Thoughts - This is an e-liquid worth trying. However, if you enjoy complex, much stronger tobaccos then you probably wouldn't enjoy this one, but If you enjoy tobacco flavours that are extremely light, easy to vape, smooth, mellow, and one you can vape all day, then you are going to really enjoy this version of Latakia. On opening the bottle, the wonderful aroma of a rich decadent dark chocolate fanned in the air. So good you would actually think you were holding a bar of it in your hand. The scent was strong, like a good raw cacao powder. Dark and luxurious, just waiting to be vaped. I couldn't wait to try this one. It was sublime to say the least. On the Inhale, a beautifully warm, creamy, smooth, melted chocolate flavour coated my palate. It filled the whole of my mouth, soothing every part of my tastebuds with a dark and luxuriously rich Belgian Chocolate. Satisfying, sensual, smooth, rich, and tantalizing, this e-liquid had it all. It was semi-sweet and just the right amount of sweetness without being overly sickly sweet. On the exhale, a soft, soothing, chocolate rolled over my palate and the flavour lingered for a few seconds on my palate afterwards. Summary:- There isn't much to say about chocolate vapes. They are either good or bad. It's difficult to find a decent chocolate vape. This one falls into the good category. It's a very relaxing vape for after dinner or in front of the tv. Definitely not an all day vape for me as the flavour is quite rich but very pleasing when you want to chill out, and you fancy something sweet. Final Thoughts - A sweet treat once or twice a day. A very decadent flavour that I'm sure all chocolate lovers will enjoy. I am a diabetic and this flavour fits the bill for me as I can't have the real thing. Another nice juice from LTecigs. On opening the bottle, the aroma of sweet bramley apples and rich buttery pie crust wafted from the bottle. There were hints of vanilla, but the pie crust was the one that stood out the most. 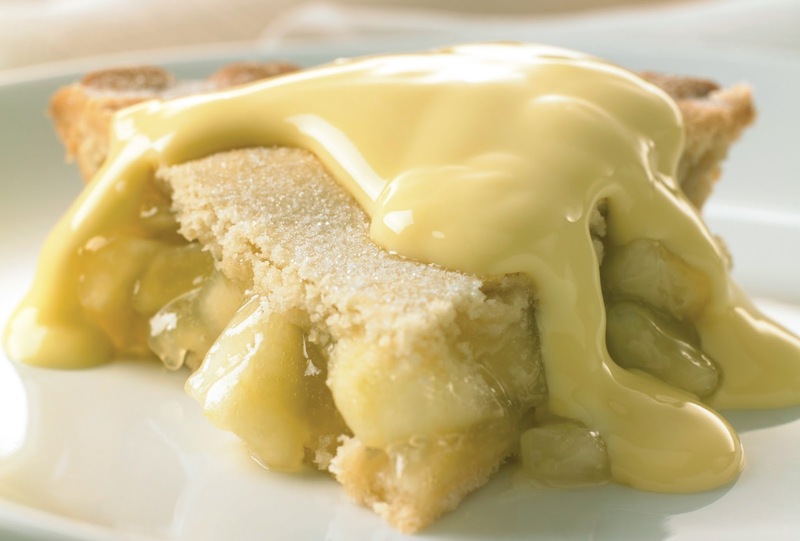 The scent was of hot freshly baked apple pie with lashings of vanilla custard and a slight hint of nutmeg. On the Inhale, a beautifully smooth shortcrust pastry coated my palate. Very flavoursome and rich. There were spicy notes of nutmeg and a natural sweetness from the apples which left me salivating. On the exhale, the vanilla was at the forefront. Not as creamy as vanilla custard as I had thought, by the aroma it first displayed, but a milky custard. Smooth and mellow, with the shortcrust pastry being the prominent flavour. Summary:- Very rich and decadent with bags of flavour, making it a very pleasant vape for after a meal or cuddling up on the sofa watching a movie. Vapour Production ............... Good for a 50/50 juice and it also depends on what setup you are using. ADV - No not for me. On occasion I would vape this one as it's a rich juice. Might be an all day vape for dessert vapers who enjoy their all day custard vapes. Final Thoughts - A very tasty Apple Pie & custard. It took an hour or so to get used to this one. I wasn't sure if I was going to like it at first, but after a few puffs I was hooked. If you enjoy your dessert vapes, give this one a try. On opening the bottle, an array of fruits wafted in front of me. I couldn't tell what fruits were used in making the e-liquid, so it was down to guess work, as this had a very complex aroma. On the Inhale, a swoosh of watermelon coated my palate. It was more of a fresh watermelon rather than a candied one. Smooth and refreshing, with creamy undertones, not of vanilla but of sweet cream. On the exhale, again, a very smooth, light watermelon taste with hints of cream and a sweet finish. Summary:- This is a very refreshing vape. I could be totally wrong with guessing the flavours, as I had to blind test this one, but it's one I would definitely buy again. An extremely enjoyable vape. Final Thoughts - I really enjoyed this one. I had no flavour description to go by, but to me it tasted like watermelon with cream and maybe another fruity flavour, but unsure what that is, if any. It was very difficult to tell. I will be reviewing these two e-liquids together as they are both within the same flavour profile. 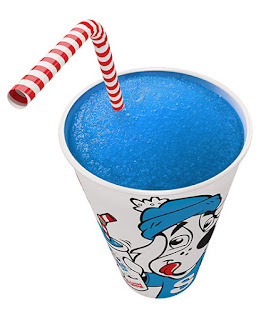 On opening the bottles, I could smell the aroma of blue raspberry in both bottles. It's a flavour mostly everyone enjoys, and having it as an e-liquid is a big plus for some. 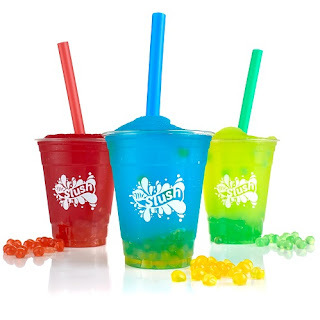 Slush Puppies, for me, as a child weren't something I took to, and it's not in my flavour profile for vaping either. I can only tell you what my thoughts are of the juice, and remember that taste is very subjective. What I dislike, you may love and vice versa. On the Inhale, a crisp fruitiness flowed over my tastebuds, covering my palate with subtle notes of blue raspberry. To me both juices tasted exactly alike, but I felt that one was a tiny bit sweeter than the other. I'd say that 'AHL Slush' was the sweeter of the two and being only 6mg was more palatable to vape. The higher mg juices are all fine in tanks and clearomizers, but not for sub ohm vaping. Both had refreshing flavours and both were as equally pleasing. 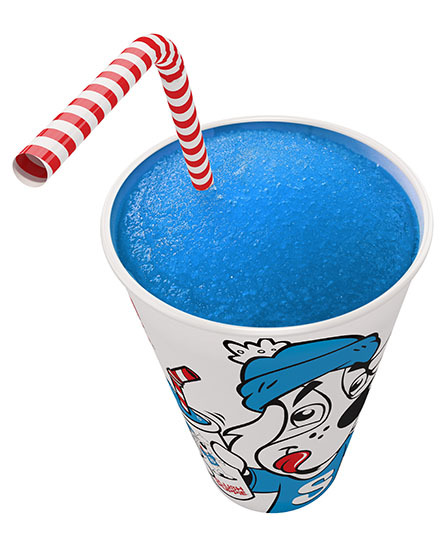 On the exhale, the delicate flavour of blue raspberry rolled over my lips. I didn't have the flavour lingering in my mouth after exhale. It diminished fairly quickly. Summary:- I wasn't keen on those two e-liquids. If you like these types of flavour, you will more than likely enjoy either one of them. These flavours aren't for me. Would I buy this e-liquid ................ No, sadly it's not one for me. ADV - Yes it could be for some. Final Thoughts - Not an e-liquid I would try again, but if you enjoy those types of flavours, give them a go.